After handing you his List of Death, he will greet you with: "Have you... done... what I asked?" If you say you refuse to help, he will take matters into his own hands: "You won't help me? You're abandoning me now, just when I need you the most?! No... no. I understand. It is my problem, and I should solve it myself. You're right. I should never have involved you. Good night." He will then go on his rampage. 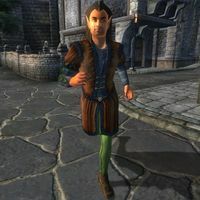 Once the quest is over, if he killed any of the three victims, you may hear around town: "Hadn't you heard? He went crazy and killed Bernadette Peneles, poor girl. ", "It's unbelievable. 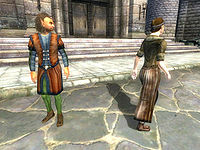 Glarthir went after Toutius Sextius with an axe. Killed him before the guards could do anything. No one even knows why." or "You must not have heard. He went crazy and killed Davide Surilie with an axe! Nobody can figure out why." 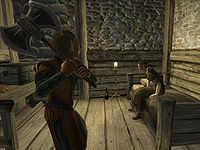 If he killed all of them, you may hear: "It's too bad nobody stopped Glarthir before he went on his killing spree. I guess no one knew how crazy he really was." If he was killed before managing to attack any of his targets, people may say: "Did you hear? He went crazy and started attacking people with an axe! Luckily the guards stopped him before he killed anyone." If you killed him yourself early on, or if you let the Surilie Brothers do the deed, people will say: "He turned up dead... I guess someone finally got tired of his crazy behavior." If you showed the guards the List of Death, they will reflect: "Sad story. But at least we stopped him in time, thanks to you." 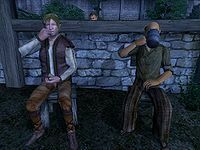 Some NPCs will gossip amongst themselves: "Did you hear about Glarthir? 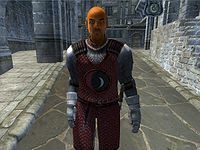 Thank the Nine that the guard stopped him before he killed someone!" 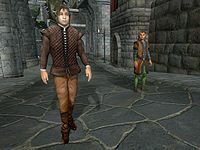 If after the quest Glarthir is still alive, people will simply say: "The town eccentric. Lives in the big house on the corner, southwest of the Chapel. Don't worry, he's harmless." Esta página foi modificada pela última vez à(s) 08h44min de 12 de novembro de 2015.